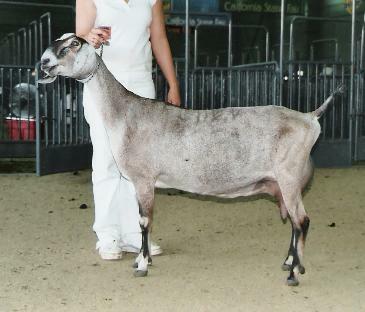 La Linda was a very strong doe in our herd. 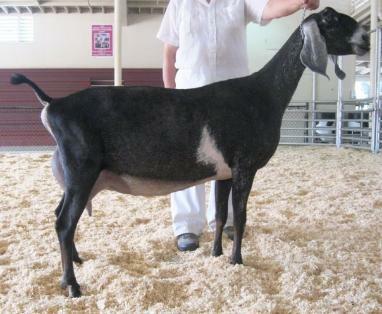 She was very special because she is the daughter of our GCH Tamaulipas (1999 Reserve National Champion). 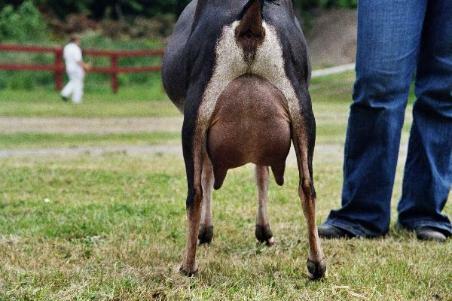 She was very long and tall with extremely correct general appearance. 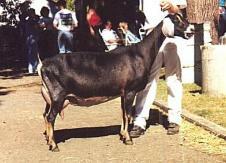 She had a very strong mammary, with plenty of dairy character and body to support it. 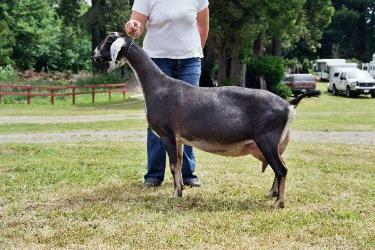 La Linda finished her championship in 2004 as a three year-old. In her first show in 2005 she was BOB and BIS. 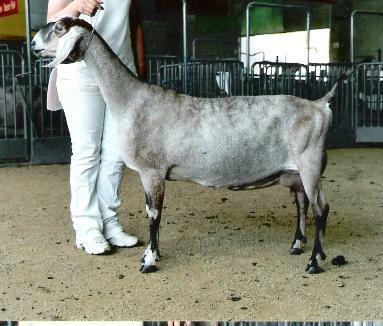 At the 2005 National Show La Linda was 4th place four-year old. 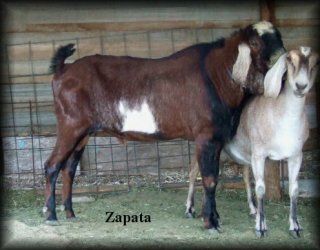 She had the greatest impact on our herd and others through her two sire sons, Wingwood Farm Romeo's Laredo and Wingwood Farm TY Zapata. They have had an impact on herd such as Jacob's Pride, Pella's Triple C and M's Sagebrush Acres. 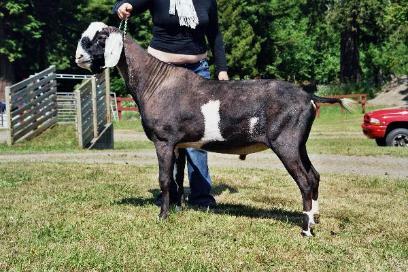 Laredo was the 2009 Premier sire at the National Show.